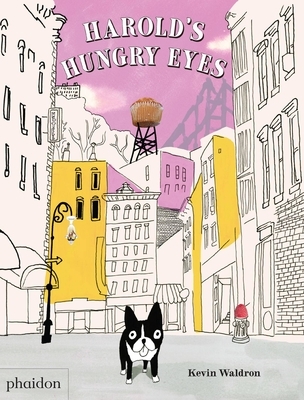 Like most dogs, Harold is food-obsessed; unlike most dogs, he imagines food in the most unlikely places - on buildings, cars, mailboxes, even fire hydrants! When Harold gets lost in the big city, he is overtaken by hunger and begins to see things: hot dogs on an antenna, a turkey roast in the mailbox, and toast popping out the top of a building! Thankfully, Harold's hungry eyes lead him to familiar landmarks and he finds his way home... to breakfast! Kevin Waldron grew up in Dublin, studied in London, and now resides in New York City with his American architect wife. He shares a studio with Oliver Jeffers, Jon Burgerman, and other UK transplants, who goad one another endlessly. He has published three picture books to date.